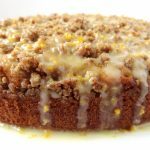 With both Cinco de Mayo and Mother’s Day coming up in the next week, I was racking my brain for a recipe that could do double duty and work for either day. 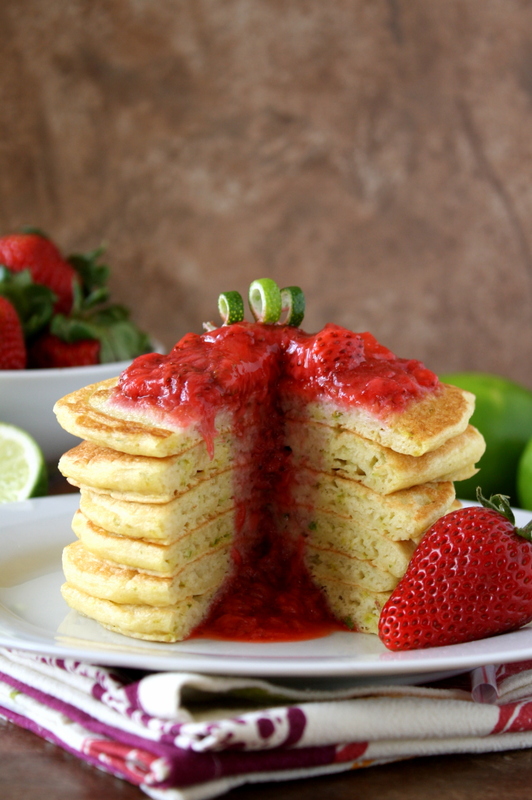 Late one night as I was trying to fall asleep, it came to me: strawberry lime margarita pancakes! I’ve mentioned before that I’m not a big drinker, but apparently I do enjoy boozing up breakfast items and baked goods (examples A, B, and C). Have you ever convinced yourself that you can’t pull off certain styles of clothing? I feel that way about photographing certain types of foods. Sometimes it’s about styling (if you’ve ever tried to make egg salad or soupy curries look appealing, you know what I’m talking about), but sometimes it’s about composition. Pancakes aren’t super interesting from an overhead angle, which is why it’s much more common to see stacks of pancakes shot at more or less eye level. Until a few months ago, I was using a point-and-shoot camera with limited zoom capabilities, which meant that it was difficult to get eye level shots that didn’t look slightly distorted or have an “awkward angle” (thanks, foodgawker!). Even with a different camera in hand, I was still reluctant to shoot pancakes, but since strawberry lime margarita pancakes were the best idea I’d had, I went for it. Despite my food photography anxiety (yup, that’s a thing I sometimes experience…anyone else? ), I was pleasantly surprised by the results! As I’m hoping the photos convey, these pancakes are crazy delicious! They’re light, fluffy, and packed with bright lime flavor, and the strawberry tequila sauce adds a tangy sweetness as striking as the sauce’s vivid color. 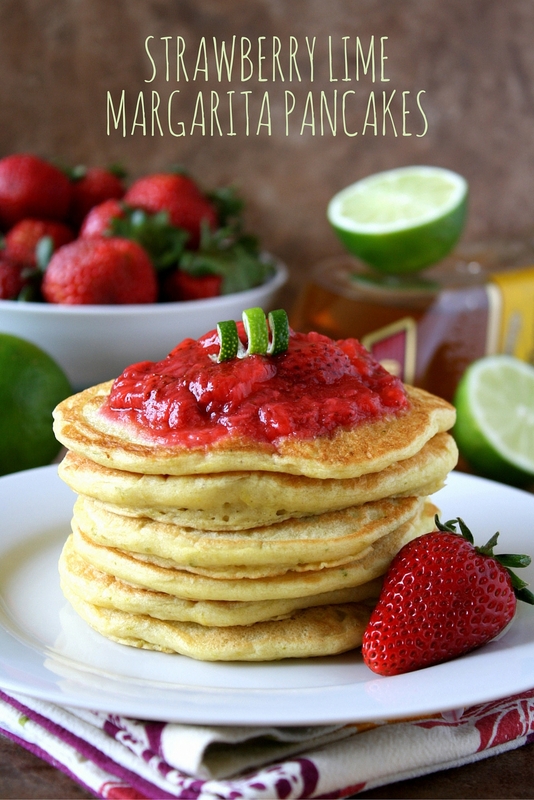 While the tequila makes these pancakes especially fitting for Cinco de Mayo, they’re just as scrumptious without it, if you’re looking for a family-friendly recipe! So go ahead, whip up a batch to celebrate Cinco de Mayo, Mother’s Day, or just…Monday! What’s your favorite boozy breakfast or dessert? And for you food bloggers out there, are there any dishes that give you food photography anxiety? In a small bowl, mix together the sugar and cornstarch. Place the cut strawberries and lime juice in a medium saucepan and add the sugar and cornstarch, stirring until combined. Cook over medium heat until the strawberries start to release juice. Bring the mixture to a boil, then reduce the heat and simmer until the sauce has thickened, about 6-8 minutes, stirring occasionally. Remove the saucepan from the heat and stir in the tequila. Pour the lime juice into a 2-cup measuring cup, then fill the remaining volume of the 2 cups with milk. Let this sit for at least 5 minutes while you put together the other ingredients for the pancake batter. In a medium bowl, mix together the flour, sugar, baking powder, baking soda, salt, and lime zest. In a large bowl, combine the eggs, vegetable oil, milk + lime juice, and tequila (if using). Pour the dry ingredients into the wet ingredients, stirring until just combined – try to not overmix! The batter should still have some lumps in it. Coat a griddle or skillet with cooking spray or vegetable oil. Heat over medium for several minutes, or until a sprinkle of water dropped onto the surface sizzles upon contact. Scoop the pancakes batter onto the griddle in 1/4 cup portions. When bubbles appear throughout each pancake, flip onto the other side and cook until golden. Transfer the cooked pancakes to a baking sheet or oven-safe plate and place in the oven until ready to serve. 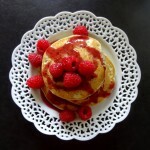 Top pancakes with strawberry tequila sauce. The almond milk and lime juice are used in combination as a substitute for buttermilk. You may also use regular milk if you prefer. I listed the tequila as optional in the pancakes because its flavor is very subtle; I suspect that most, if not all, of the alcohol cooks out as the pancakes cook. If you omit the tequila, you do not need to add any additional liquid in its place. 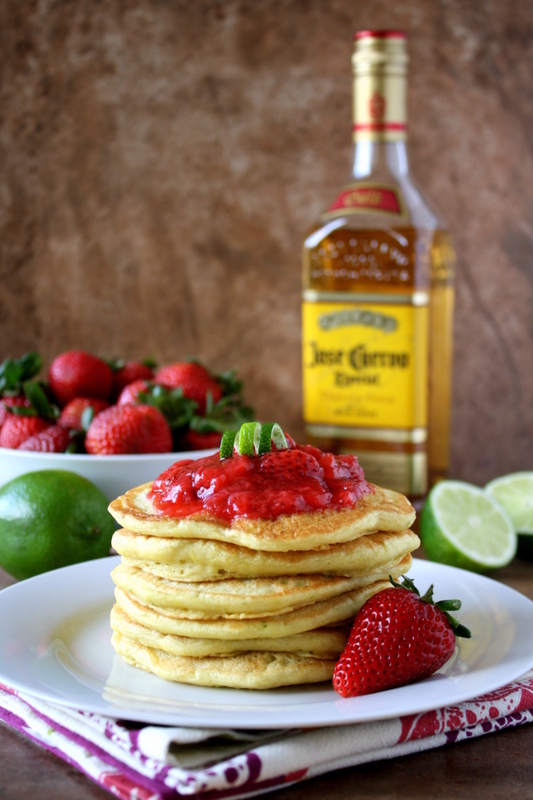 If you are serving these pancakes to children or are not a fan of tequila, you can omit the tequila from the strawberry sauce as well. If, on the other hand, you love tequila, you may want to add 3 or 4 tablespoons for a stronger flavor, rather than the 2 tablespoons listed. …… and what a delicious breakfast this is bound to be Mara…. .you’ve nailed it for both holidays! 🙂 Yumm! Thanks, Loretta! It’s destined to become a new favorite in my household, I think! Fabulous! I can just imagine the flavors!!! You nailed this one, Mara! I am seriously blown away at how quickly you have mastered the new camera. These pancakes look amazing! Food photography anxiety is totally a thing…I get it quite often. I love whipping up something fun in the kitchen, but then I’m like “uh oh. Now I have to make this look good in photos.” I sometimes break out in a cold sweat. The worst culprits? (1) Soup (you already called this one). But you can counter that one with toppings and croutons. (2) Pancakes. You clearly nailed this already. (3) Lasagna. You’d think the cheesy shots would be great…but it just looks like a pile of pasta and sauce. And not in the appealing way. Just thinking back over these is making me shudder. Haha! Pinning these pancakes right now. Yum! Thanks so much, David! Your encouragement means a lot to me. And I’m relieved to know I’m not the only one who frets over how to make certain dishes look good! I hadn’t thought about it before, but I can totally see how lasagna would be a major pain to style. I have trouble with cheesy dishes anyway, because the cheese always seems to grow cold and rubbery before I get the shots I want. Once I even tried to use a hair dryer to prevent that from happening! 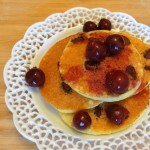 OMG these pancakes look so appetizing & that too boozy pancakes for breakfast!! Yes please, I can do these anytime!! Oh my goodness, you’re a genius. Why have I never thought to put tequila into anything that isn’t my mouth, directly? 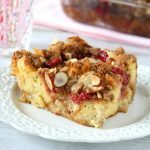 With strawberry season upon us, I’m stoked to try these! You’re too kind; I’m blushing! Now that I’ve stocked up on tequila, I’m looking forward to trying it in other recipes. I saw one the other day for carrots cooked in a tequila sauce…it sounded interesting! 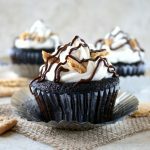 Oooh these look way too good! 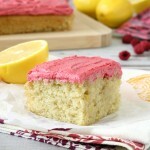 I want to make some this weekend. Thanks for sharing them over at the Wednesday Showcase! Thanks, Jenna! 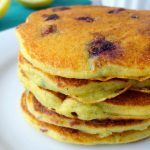 These pancakes are my new obsession, so I hope you get a chance to try them! What a great idea! 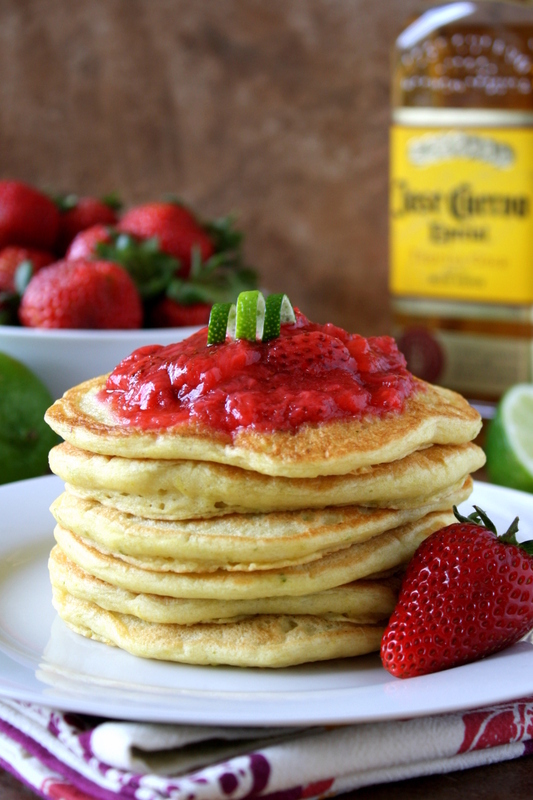 I like the idea of lime in the pancakes and tequila in the strawberry sauce. Sounds like fun! Your photos turned out great–very beautiful! I had to laugh when you mentioned foodgawker–I have had the “awkward angle” response from them too! (ouch) I guess it keeps me hopping and trying to learn more. I think that soup is the hardest to photograph, and I also have photo anxiety moments, as the food starts to wilt or I can’t find enough natural light on these cloudy Michigan days. 🙂 But I keep on doing it, must be because I love it! There are endless amounts of things to learn, that is for sure! I can’t even count the number of times foodgawker has told me that my photo had an awkward angle. But you’re right, it’s a good incentive to learn more about photography! And I’m glad I’m not the only one with photography anxiety – and YES, the dark and gloomy Michigan weather can be a real pain to work around. So many times I’ve planned to photograph a recipe and then it’s like, *thunderstorm*! 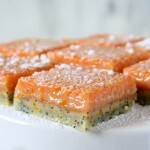 These look so delicious and the photos are beautiful. I am all too familiar with the Foodgawker “awkward angle”, unfortunately. Thanks, Eileen! I’m in good company, apparently, if you’ve received that same piece of feedback. Your photography is gorgeous! These pictures are so phenomenal, as I’m sure the pancakes are too 🙂 I’ve been having trouble shooting stacks of things recently, but I guess I’ll just have to keep trying and looking at these gorgeous shots for inspiration! Happy CDM! Love the idea of a boozed up breakfast 😀 That stack of pancakes looks scrumptious!! Thanks, Naina! I hope you get a chance to try these. Ooo Mara your photos are fantastic. Do you think pancakes for lunch is okay? – you made me need some! Don’t forget to link up to Fiesta Friday so everyone can see where you’re partying this weekend! Oh and food photography anxiety… anything in a glass! smoothies, juices, coffees, actually maybe just anything liquid? Thanks so much – and yes, pancakes are acceptable at any time of day in my book! And I agree, liquids can be tough. Perhaps it’s because there are relatively few ways to position them? Pancakes it was! That was the first thing I made yesterday so thank you for the delicious looking stack! 🙂 Oh maybe – I never thought of that! I always seem to have a problem with what’s in the background when doing liquid photos. Thanks so much! This is doing wonders for my self-esteem, hearing how many others have also struggled with getting photos onto foodgawker, haha. I hope you had a great weekend! These look incredible oh my gosh! 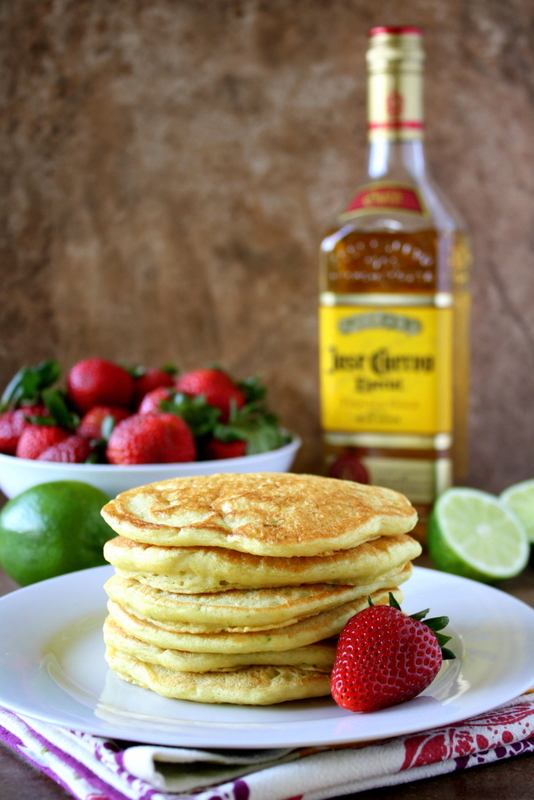 I love margaritas in all forms, but never even thought of making them into pancakes – genius!! You’re photos are gorgeous by the way! I get food photography anxiety about most things I shoot haha! But tarts/pies in particular – it’s the the shallowness or a tart that throws me off I think! Thanks, Michelle! I definitely feel you on the tarts/pies photography anxiety. The shallowness is really tricky, and on top of that, there’s the knowledge of how much time went into making it. That always seems to up the stakes for me! Oh my stars!!!! This is a whole lot of goodness wrapped up into breakfast! I think I’d need a nap after eating these….but if that’s the price I have to pay, bring on the margarita pancakes! ….just don’t serve them to me on a weekday! Woooho! I would love to have it right now! Looks beyond good. Thanks, Ivette! I’m glad these caught your eye. Haha, I get that from Food Gawker too sometimes… womp womp. And I definitely know all about having photography anxiety with certain foods (I’m scared of grilled cheese and stretchy cheese shots) AND about dreaming up ideas for recipes late at night or early in the morning in bed. 🙂 But these pancakes are seriously beautiful! And they look every bit as fluffy as I’m sure they taste! I sadly didn’t get them in time for Cinco de Mayo or Mothers Day but we are on a weekend pancake bent lately, so I’ll be adding these to the menu for next weekend. Love a boozed-up breakfast 😉 Hope you had a fabulous weekend! Ooh yes, those stretchy cheese shots look awfully tricky – I’ve actually never attempted them myself! Even though we’re past Cinco de Mayo and Mother’s Day, I’m certainly planning on having these pancakes again soon. Let me know what you think if you try them! Thanks! I hope you get a chance to make them sometime. Oh my gosh Mara. This would be perfect for a girls weekend when you just start they with a bang. 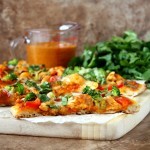 The photos are just mouthwatering delicious! Thanks, Julie! These pancakes are definitely a great start to any weekend. I’m glad the photos piqued your interest! 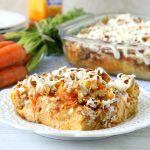 Wow, these sound delicious – pinned to try when I get the chance! Yes, definitely a great ladies’ brunch option! I sympathize with the photographing soup anxiety. I’ve only tried once or twice…and those experiences were enough to scare me off for a while! Girl, you had me at tequila. Anytime I can make booze acceptable in the a.m., I’m in!! I’m glad to hear you’re on board! Thanks so much for stopping by, Rachel!